My New Favorite Recipe – Quiche With a Healthy Crust! It’s not often I share a single recipe, but this one is so delicious, so healthy and so easy that it warrants a separate post. This “quiche” makes a great dinner, but can also be put in your bag for breakfast or lunch for a busy day or call night. Quiche freezes well, so you can make several, freeze them and have breakfast/lunch/dinner for days! It’s 2am on call. All of a sudden you are starving, not to mention craving comfort food. The only thing available is MacDonald’s or (on rare occasions) the leftover pizza from the noon conference. It’s a problem. 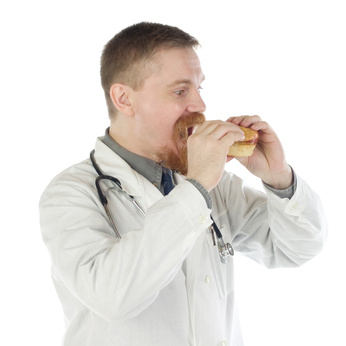 Eating that kind of food at 2am will almost certainly result in food coma, not to mention that you really know it’s not healithy or what you would recommend for your patients. 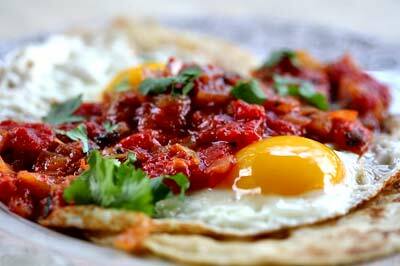 These tacos are a great breakfast on the run, afternoon snack or 2am call food. It takes ~15 minutes to make 10 of them on the weekend – which is enough to last for several weeks. Start by chopping up the veggies you want to put in the tacos. My “go to” is one red bell pepper and a poblano pepper. Corn and rice work well, too. You can change the taste by using different cheese and different veggies (brocolli, carrots etc with Monterey Jack, for example). Buy the cheese you want already shredded. Lowfat Mexican is my usual choice, but any cheese is fine. 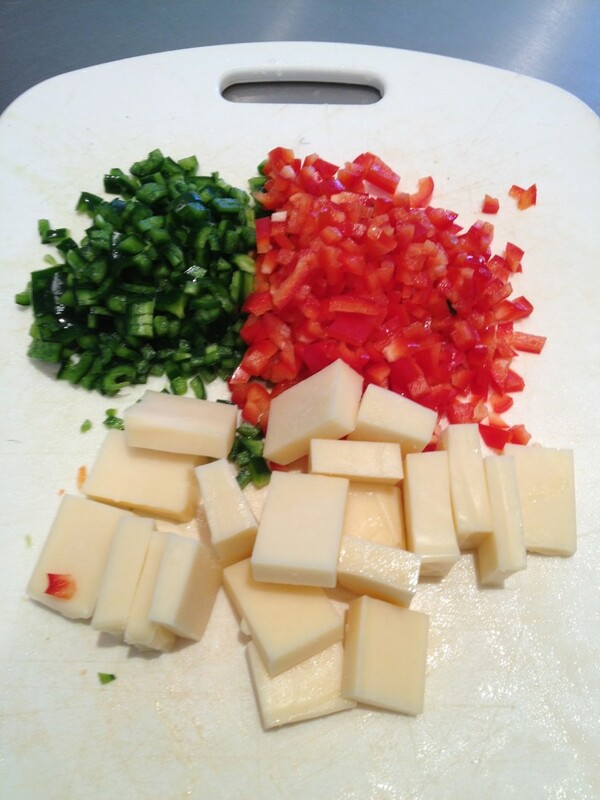 I’ll often cut up a block of 50% Cabot cheddar cheese which is a great tasting low calorie cheese. 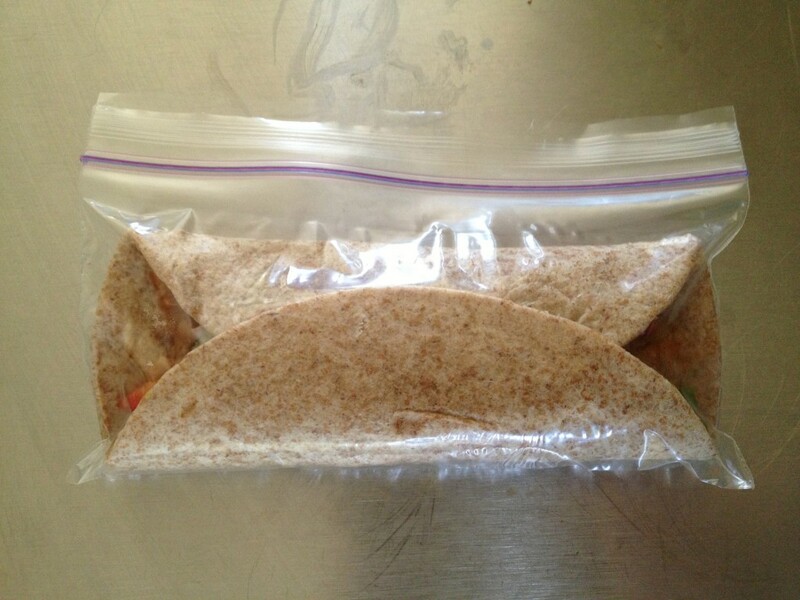 Put 10 whole wheat tortillas on the counter and divide one can of refried beans between them. 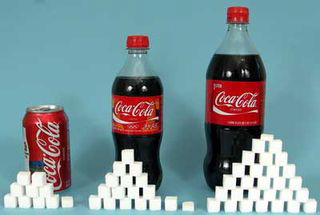 Use nonfat if you are watching calories. Black beans, pinto beans, spicy or not – your choice! Divide up your veggies and cheese onto the 10 tacos. 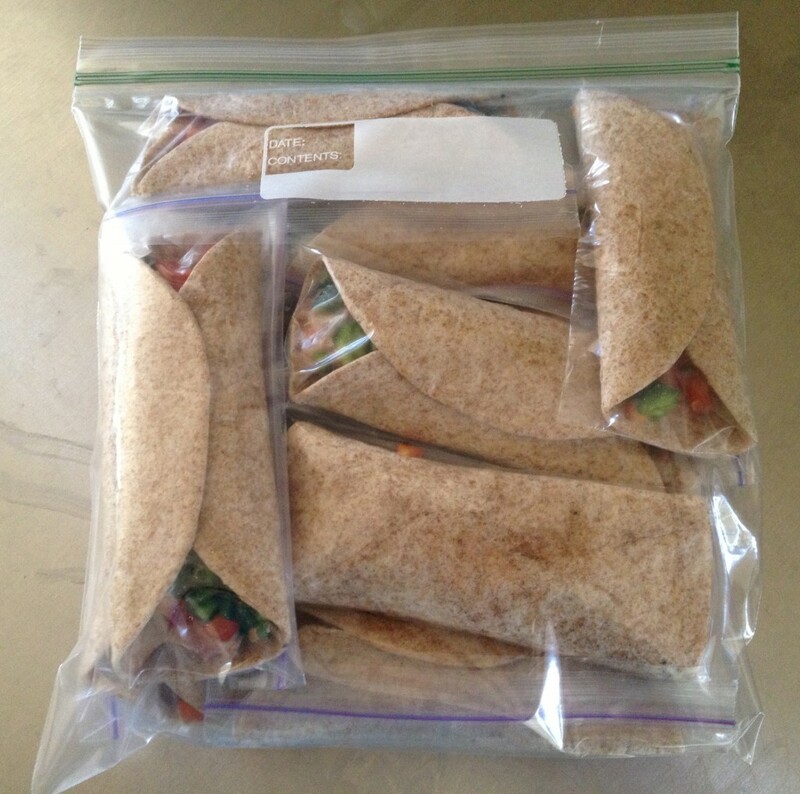 Roll them up and put them in snack size plastic bags. 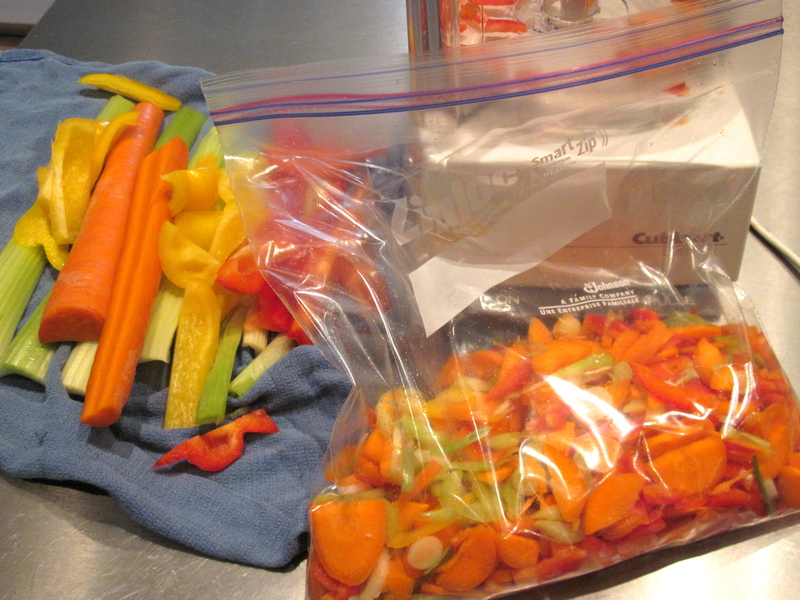 Put the little bags in a gallon freezer bag (important to prevent the bad taste of freezer burn) and put them in the freezer. They last for weeks. Two minutes in the microwave directly from the freezer gives you a great breakfast, snack, or middle of the night comfort food! 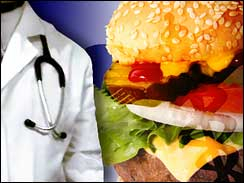 At some point all physicians give advice to their patients about dietary changes to improve health. Let’s be honest. We don’t do so well ourselves. The “classic” fare of residency (donuts or muffins for breakfast, pizza for lunch, and some fast food on the way home) doesn’t really give you much credibility when you are talking to patients. No medical student or resident is going to be able to eat perfectly, exercise regularly, and do all the other things that lead to a healthier lifestyle. But every little change you make now will pay off. 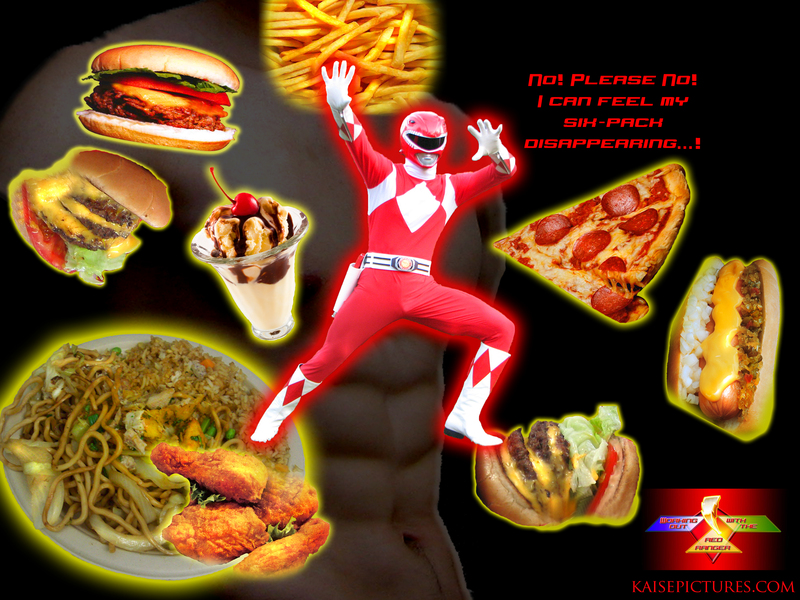 You’ll feel better and have more energy. You’ll be less likely to gain weight. And – you’ll be able to talk to patients – with specific examples – about what they can do to improve their own health. In the crazy busy life of medical school and residency, it’s hard, if not impossible, to spend time and energy to shop, cook and eat really well. It doesn’t get much better once you start your practice. What is possible, no matter how busy you are, is to realize that there are some simple things you can do to improve what you are doing now. 1. Eat fruits or vegetables with every meal or snack. This may mean buying a bag of apples once a week and just eating apples twice a day (boring but effective). 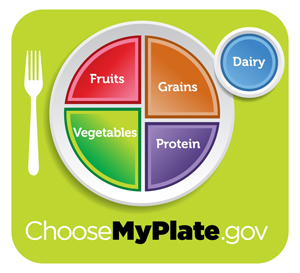 Even better, follow the “USDA plate” recommendation – ½ fruit and vegetable, 1/4 protein 1/4 grain/complex carb on every plate of food you eat. 2. Eat breakfast. If you are up too early to really eat, make a smoothie the night before to put on the blender when you wake up and take it with you in the car. My personal favorite: ½ cup plain Greek yogurt, ½-1 cup of fruit, ¼ cup egg whites (pasteurized, in a carton), 1-2 Tblsp honey. 3. Eat more eggs (especially egg whites). Eggs have gotten a bad rap, but they are very cheap and very easy to cook. Cook hard boiled eggs on the weekend to eat for breakfast or snacks during the week. Make omelets or huevos ranchero for dinner. Go ahead and spend a little more to get cage-free eggs to do the right thing. 4. Don’t skip meals. 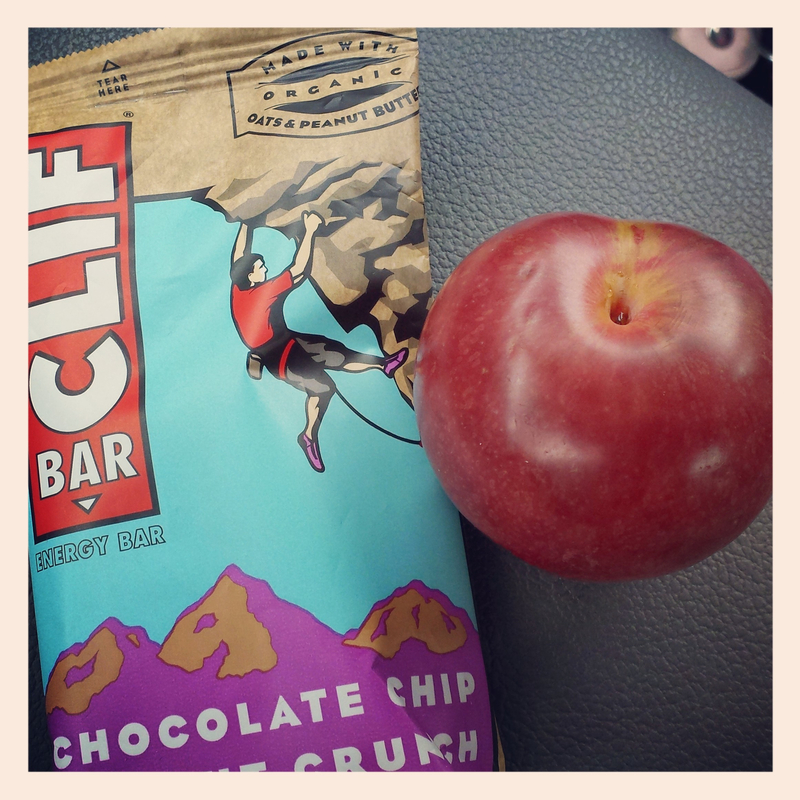 Even on the worst call day you can keep a meal replacement bar or two in your pocket. 5. 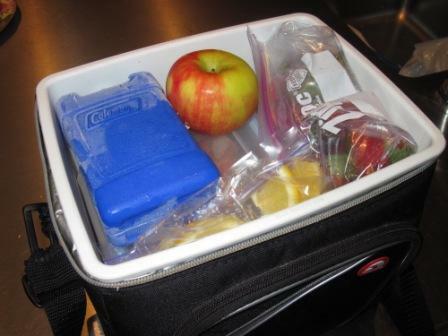 Pack the food you need for call days the night before so it’s ready to go in the morning. 6. Chop up a bunch of veggies on the weekend to throw in salads, soups or in wraps. 7. Cook or buy one good meal on the weekend that will last for part of the week. A good stew or soup? Lasagna? Look for good recipes on the web. 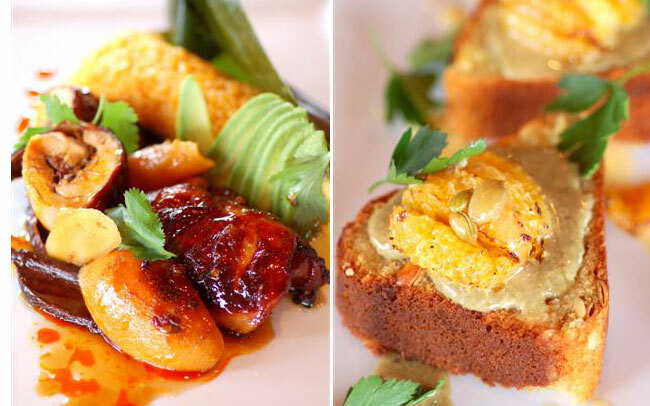 If you really don’t want to cook, find a healthy caterer or restaurant to buy it instead. 8. 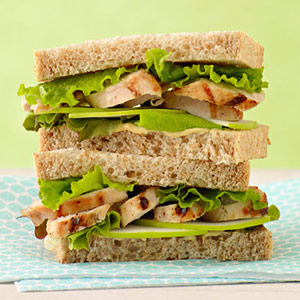 Take a good sandwich to work for one or more meals. Peanut butter on whole wheat may be monotonous, but a) it doesn’t have to be refrigerated and b) it beats McDonald’s. I’m always looking for good websites for recipes that are healthy, simple and easy to make. In other words, the kind of food that makes it easy to avoid eating fast food when you are on call. 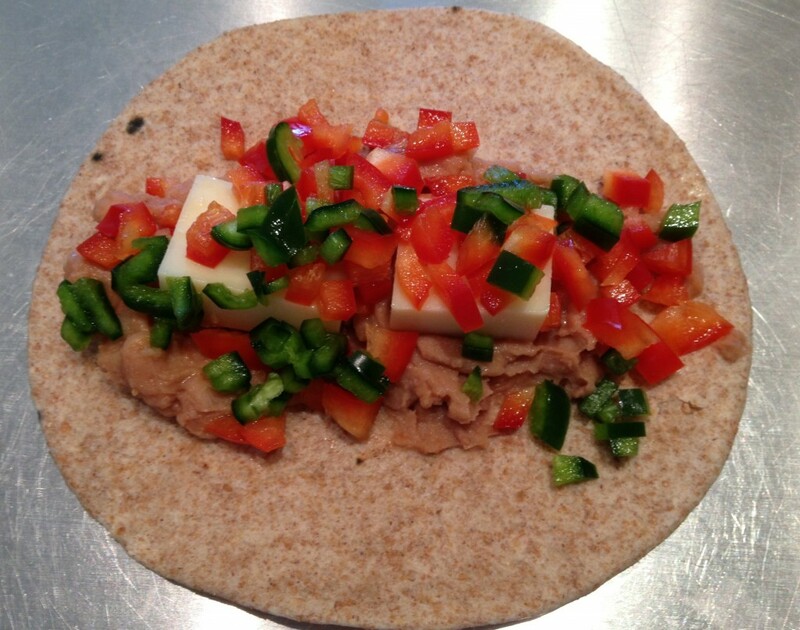 Kalyn’s Kitchen is a fabulous website for delicious, healthy, and often low calorie recipes that meet the “pizza rule” for medical students and residents (i.e. recipes that take less time to prepare than it takes to order a pizza). She also really goes out of her way to teach each step in the recipe, so if you are new in the kitchen, this is a fabulous website for you! It’s summer and it’s hot. I’m on call this weekend. That combination made me think about cold comfort food I could take to work. This soup looks delicious, but with the heavy cream probably isn’t in the “low calorie” list. 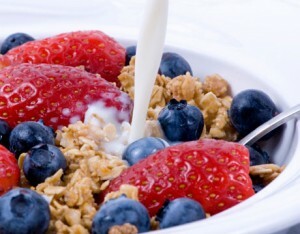 You can substitute milk or yogurt to cut calories (without too much sacrifice of taste). But, then again, as an on-call treat this still beats McDonald’s! 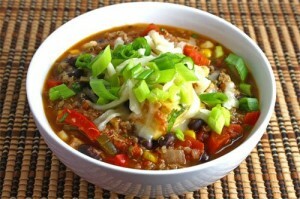 This is just one example of cold soups – which are great for summer on-call days. Smoothies are great comfort food – but logistically not easy when you are on call. If you love smoothies, you might want to invest in an inexpensive single-serve blender. Take the fruit in a baggie, put some yogurt and ice cubes in… instant smoothie. Alternatively, you can blend your smoothie at home and put it in a container in the refrigerator that you can shake up before drinking. I’m beginning to think that Clementines are the perfect winter food item for busy people. They are very portable, easy to peel and usually seedless, which makes them very easy to eat. 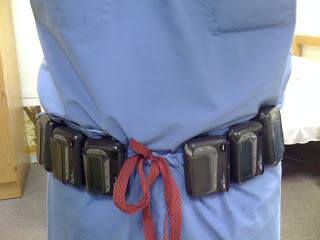 They are small, so they can fit in a white coat pocket. 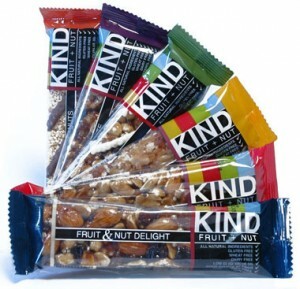 Two or three make a great fruit portion so you can feel righteous in your good food choices. They are really sweet, too, so eating them feels like a real treat. You can buy them by the pound in some stores, but more commonly they come in a box. 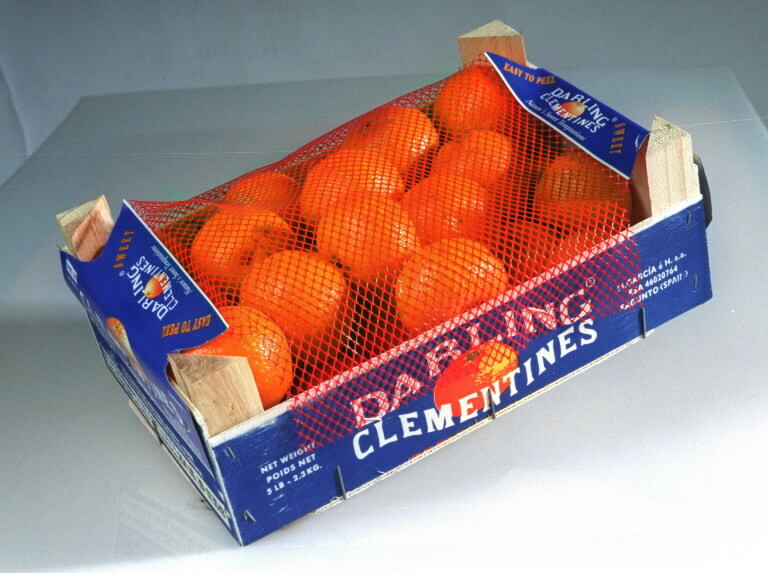 Clementines are hesperidiums (a subset of citrus fruit). They are a small type of mandarin orange. (the same as you get in the cans). 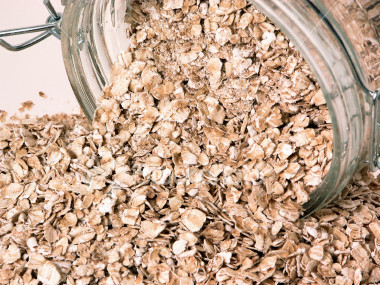 They are more perishable than oranges, so keep them in the refrigerator crisper drawer. 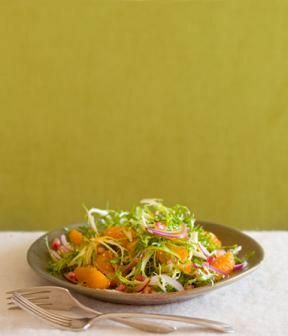 Clementines are a great addition green salads, grain salads, chopped vegetable salad, jicama salad … really any kind of salad. Here are some other recipes, some easy (within the “pizza rule” and others that take a little more effort – good for cooking on a day off. Chicken Paillards with Clementine Salsa – Paillard just means a flattened out chicken breast – you can use this salsa on plain chicken breasts or fish if you prefer. You can use clementine gremolata (another kind of salsa) on chicken or fish, too.